The characters in the Fair Haven holoprogram begin to suspect the Voyager crew after they witness several "supernatural" occurrences. - This episode had the working title "Daoine Sidhe", an Irish phrase which means "The People of the Mounds." - Bairbre Dowling (who played Edith Mulchaey) is the ex-wife of Star Trek: Deep Space Nine star Colm Meaney (Miles O'Brien). - Michael Sullivan giving Kathryn Janeway a copy of The Faerie Queene, insinuating that the townfolk believe her to be the pixie queen, is actually accurate in a sense: Kate Mulgrew voiced Lady Titania on the television cartoon series Gargoyles. - In this episode, Tom Paris says, "So much for my open-door policy." However, it was actually Neelix who suggested the "open door protocol" to Captain Janeway in the episode "Fair Haven". Also in "Fair Haven", when discussing the rewriting of the program, Paris and Janeway say it will take six or seven weeks to complete. The two episodes are six apart numerically and were originally aired six weeks apart. - In the final dialogue of the episode, Sullivan tells Janeway that knowing a spirit's true name renders one impervious to their charms, but Janeway insists that she doesn't believe a word of it. In "Fair Haven", she restricts herself access to his matrix, so he is, in effect, impervious to her charms. "Hate to break the news to you, Michael, but I'm a starship captain, and you're a 300 deciwatt holodeck program." "If you can get a spirit to reveal his true name, you'll render yourself impervious to his charms!" "What is your true name!?" "I haven't decided on one yet." "When your quaint little seaside town starts to depolarize, don't come crying to me." Well, I was prepared to not like this at all, and it's definitely not without its problems: the Oirishness is cranked up to eleven (although the bad accents eventually become part of the joke, as is Richard Riehle's ne'er-do-well drunk's ending up as village witchfinder general), and the crew seems slow to recognize that the residents of the program are sentient. But it by no means deserves the zero score that Bernd gives it (as I noted in the "Fair Haven" recap, he rates it well below other episodes that are far worse IMO); it's both funny in parts (the Doctor becomes hypnotized because he's now subject to Fair Haven rules) and also presents the simulation hypothesis, not exactly new to SF--or even to Star Trek--but the way in which it's presented, with the villagers not only drawing on a previous history (i.e. the ghost town of Kilmanin) but also communicating with people outside of Fair Haven (Sullivan's acquaintances in County Clare) begs the question of how extensive the simulation is, and at which point do the Havenites deal with non-sentient holograms. It's not too much of a stretch to imagine an episode of Black Mirror coming out of a similar premise. Poster's Log, Supplemental: Bernd's review not only doesn't seem to recognize that the holodeck is malfunctioning by fussing over things such as holographic bullets damaging the controls--the thing about a program glitching is that they're bugs that haven't already been patched--but also he criticizes the episode for getting details of Catholic churches and liturgies wrong while missing a couple of salient points. He not only misses the likelihood that the 24th-century Catholic church may have changed its practices significantly, and that Tom Paris may not be familiar either with that or with 20th-century liturgical practices, but that the church does indeed have an altar; it's all the way at the front of the church, where it would have been before Vatican II. (There's also a cross or crucifix--it's difficult to tell--over the display of votive candles, a very Catholic tradition.) It's a little different for it to be decorated with a small statue of St. Patrick instead of having the tabernacle where the host is kept, but maybe things were different in small churches in rural Ireland. If it's not canonically correct, well, more effort was put into it than into the Bajoran temple that was on the promenade of Deep Space Nine for seven seasons. Particle of the Week: Honorable mention to photons, but I'd like to give it to whatever particle smashed the control panel. However, one interesting conceit in the MMO is that when you replay a mission, the events actually take place in a holodeck training simulation. I forget if I mentioned that before, but it always amused me. * I don't like this at all. I guess before I go into what I hated, I want to concede this: Spirit Folk isn't even close to the worst that Voyager has to offer. At this point in the run, I'd give that dubious honor to Retrospect. I don't want to dive too deep into that rabbit hole this time because I'm saving up a big long essay for Endgame about what I loved and hated about this show, but this doesn't even crack the bottom ten. Voyager's worst stories are genuinely upsetting. Spirit Folk embraces a bunch of cringey accents and ideas, but they're not really a driving force in the plot. Like, while Seamus is a ball of very unfortunate tropes, he's also the outlier in the town, and his actual actions in this story mostly track as reasonable. Most of the people of Fair Haven come across well enough. This doesn't even hold a candle to Up The Long Ladder, as previously referenced in Fair Haven - it has protagonists murdering their own clones (later established as a crime on DS9), and a bunch of backward Irish stereotypes literally used as breeding stock. Spirit Folk is bad, but it's not even in that league. Most of what I object to is how dull and unambitious this all is. At this point, holodeck malfunctions are a Trek cliche. We already saw accidental sapience on the holodeck (in a story with a lot more dramatic tension than this one). We've already been specifically to Fair Haven before. In terms of plot, this is a total paint-by-numbers retread. I just don't see what I was supposed to get out of watching it at all. ... really, I guess what bothers me isn't nitpicking about details of the history (although that's frustrating given the way Fair Haven set this up as so authentic), it's more that Spirit Folk is to storytelling what chewing gum is to food: maybe it has a similar texture, but there's no actual value in it. It's not too much of a stretch to imagine an episode of Black Mirror coming out of a similar premise. Any number of them have, including the Trek sendup. I guess the other disturbing thing about Spirit Folk is the rehash of Federation sentiments about strong AI: ultimately, they don't have rights. The denizens of Fair Haven are treated well in this instance, but purely at Janeway's discretion. Despite the existence of Moriarty, there's no actual policy for this in Starfleet, even though that was years ago. That bugs me, but it's as much an overall problem with the franchise as an issue with this story in particular - you could say the same thing about Vic Fontaine over at DS9. I'm very much with mordax on this one. - It marks the point after which we do not visit Fair Haven ever again. - It was nice to see Ian Abercrombie (Mr. Pitt from Seinfeld) again. But I liked his character in "Someone to Watch Over Me" better. - The scene where Diagnostic-Mode McDreamy pretends not to be aware of what Harry and Tom are doing is mildly interesting. The guy's well-suited to being a Trek guest actor. Shame about the role. I might even be a little more irritated with this one than you appear to be, mordax, because I feel like the aforementioned diagnostic scene is a really nice glimmer of what could have been a really interesting episode that raises really neat new questions about holodecks. But the fact that the phrase "simulation argument" never entered my mind while I watched "Spirit Folk" just demonstrates how weak this sauce is. Despite the existence of Moriarty, there's no actual policy for this in Starfleet, even though that was years ago. This is an example of what I mean. Imagine if this episode had established that there WAS a policy, BUT that the crew's isolation from fellow Alpha-Quadrant-anians makes them want to bend that policy—all of them, Janeway included. But I suppose that hook, to accommodate serious ethical debate scenes, would have required fewer Wacky Oirish Hoijinks scenes. My take on the lack of holographic rights is that when the Federation makes first contact with a new species, that species can show up en mass on Earth and demand rights if the UFP doesn't recognize their sentience. With holograms, there's no hologram homeworld where an entire population can make noise. Instead we get Moriarty or Vic Fontaine, and I'm sure someone on the Enterprise or on DS9 sent a fascinating report back to Starfleet about them, but reports pile up and some middle manager reads it and files it away. There's no one to speak loudly in enough numbers for the holograms, and until there is, there won't be a consistent policy in the Federation. My take on the lack of holographic rights is that when the Federation makes first contact with a new species, that species can show up en mass on Earth and demand rights if the UFP doesn't recognize their sentience. Stuff like this makes me think of Westworld, except it paints the Federation in a pretty poor light. I do think your scenario would be applicable to *alien* AI though, like we saw back in Prototype - they'd probably have an easier time than the denizens of Fair Haven or the Doctor. This is an example of what I mean. Imagine if this episode had established that there WAS a policy, BUT that the crew's isolation from fellow Alpha-Quadrant-anians makes them want to bend that policy—all of them, Janeway included. That would've been much more interesting too. They would've had to do it a long time ago over the Doctor becoming CMO, but it would've offered him a very different potential slant than Data. Voyager: land of missed opportunities. I find the Federation's weird blind spot WRT sentient AI and Holograms interesting. On the one hand, there's episodes like TNG's The Quality of Life where the crew realizes the robots their scientist guest star built are too smart and must be negotiated with, not ordered around. Likewise, there's Data and The Doctor, whose personhood is repeatedly challenged and affirmed. But then there's holographic characters like Moriarty or Vic Fontaine or Minuet who seem to be just as sentient as anyone else, but nobody really goes to bat for them. In Star Trek you can walk into the Holodeck and ask the computer to create a sentient life form and it just does, like it's no big deal. What does it say about the computer you use every day that it can so easily do this? How do you reach that level of society and never consider the implications? Hell, didn't one episode reveal all the EMHs were decommissioned and repurposed to menial labor? What the hell, enlightened society? Consider that there are two basic AI stories: the one where the AI becomes human--therefore becoming mortal, but also by implication having human rights (and remember Azetbur's remark about the term "human" rights in STVI), and the one where the robot or robots rebel. Now consider how AIs were treated in TOS (AIs take over or try to take over in almost every situation; in other words, they're the slave masters--see also the Terminator movies--and so the fact that they were originally created as slaves is pushed aside), and in TNG (an AI who's been a Starfleet officer for many years and been highly decorated is at risk of being retroactively declared an unperson so that someone can vivisect him on the off-chance that he can duplicate him, and therefore (by implication) create an army of unpersons); contrast with DS9, in which the sole sentient AI is seen as beneficial to the station, and the creation of sentient beings without rights is done by the evil, aggressive empire. How do you reach that level of society and never consider the implications? Having taken a few to think about this, I think the trend in Trek has its roots in Roddenberry's vision of humanity and humanism. Per Jack's talk about TOS AI, computers were almost always antagonistic and dangerous, and I think that general attitude carried forward even though TNG took some time to address this several times (with varying degrees of depth). The first commandment of the Church of Roddenberry is that there are no shortcuts to paradise, whether it's genetic engineering or an AI-managed utopia. I think that he would have flat-out rejected the idea of the Singularity, and positively hated the Culture. This was painful to watch. Frustrating, too. 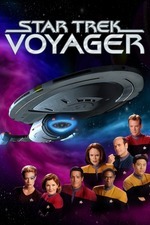 Voyager had a number of episodes which debated the rights of holodeck characters once they achieved sentience. But this was a mess. Why does the program have to be left running? Especially in the beginning when Tom and Harry identify an actual problem with it? And then afterwards when they realize they sent a lying, malfunctioning hologram back to its program, where it will warn the other characters? Isn't the standard Trek modus operandi that when a problem arises with the holodeck, the first thing you do is shut it down in order to run a diagnostic? You have a problem with the holodeck characters, you say, "Freeze Program" and the computer will oblige. They should have done that first. Later, Janeway says that the crew's "emotional attachment" to the characters is what prevents her from shutting the program down. There are people under her command whose lives are in danger from holograms. Are we seriously being asked to believe that Captain Kathryn "Ramming Speed" Janeway made that choice? Is the Captain so blinded by attachment to her holographic boyfriend that she's willing to risk the lives of her crew? That's out of character and lousy writing. How is it possible that shooting out a control panel with a holographic gun and holographic bullets disables holodeck controls and safety protocols? Did this not strike the writers as a bit contrived? On a somewhat lighter note, why does Harry replicate a dozen Broadway lilies (spending precious replicator rations on flowers) rather than simply asking the Holodeck to provide some for him? Chakotay: "Too many stray photons. We can't get a lock." Has anyone in any incarnation of Trek ever tried to beam a person out of a holodeck before? I remember Barclay experimenting with beaming out holographic matter in one of the Moriarty episodes. But not this. Are we seriously being asked to believe that Captain Kathryn "Ramming Speed" Janeway made that choice? Is the Captain so blinded by attachment to her holographic boyfriend that she's willing to risk the lives of her crew? That's out of character and lousy writing. Inconsistency in Janeway's writing is a perennial bane of this series.